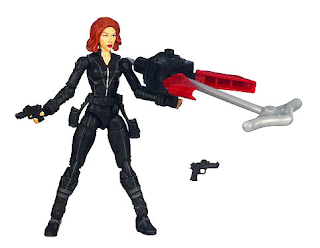 One Per Case: Even MORE NEWER Toy Reveals – Black Widow, Hawkeye, and ...the Skrull?!?! Even MORE NEWER Toy Reveals – Black Widow, Hawkeye, and ...the Skrull?!?! BBTS and other online retailers put the third wave of Hasbro’s “The Avengers” line up for pre-order today. 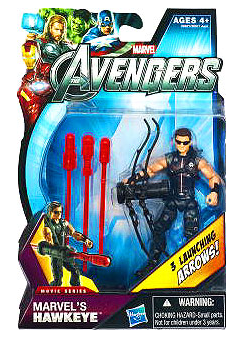 Included in the case assortment are Black Widow and Hawkeye, as predicted, plus a …Skrull Soldier?!?! 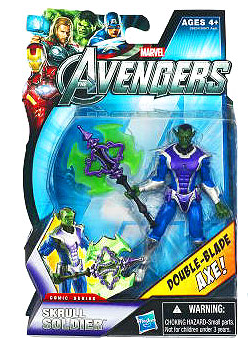 That’s right, despite Marvel’s insistence that the Skrulls do not play any part in the upcoming Avengers movie, and Joss Whedon himself declaring Loki’s Army to be the Chitauri, this assortment from Hasbro includes a newly sculpted Skrull Soldier. Now before you, the collective internets, go freaking out with cries of “liars!” and “I told you so!” everybody just chill the **** out. I got this. There are a couple things to consider. First, this is a comic series figure. Although it doesn’t resemble any incarnation of the Skrull I’ve seen in comics. But that doesn't mean it has to be in the movie. Secondly, this could be based on an earlier movie concept design. We’ve already seen an Avengers movie-based board game featuring the Skrull. I’d be willing to bet that in early drafts of the film, before Whedon settled on the Chitauri, the Skrull were intended to be the alien army. This could have been changed for any number of legal, strategic, or story based reasons that I won’t even begin to speculate on here. But we know, these are the NOT the aliens in the movie. If the Skrulls WERE secretly in the movie, you can be damn sure that bit of info would’ve leaked by now, after all the press and pre-screening events. 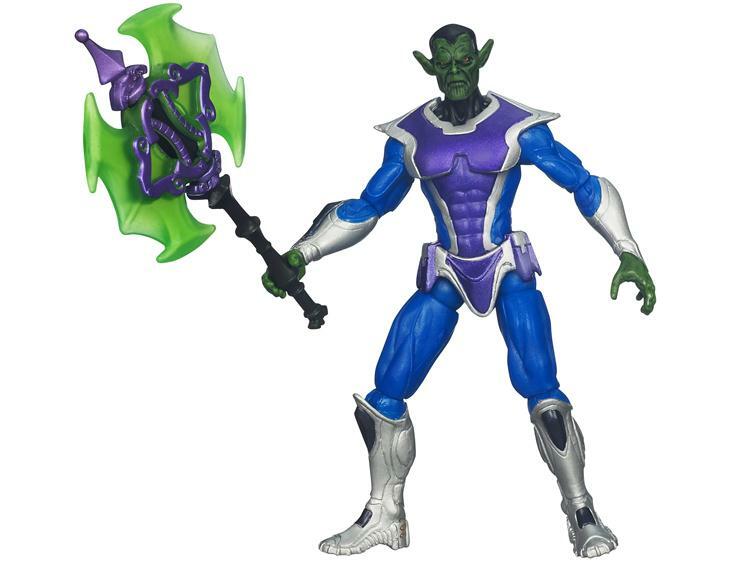 I’m just stoked we’re getting a new Skrull soldier to add to our display shelves. I think he’ll go nicely next to the Marvel Universe figure, and the Skrull Giant-Man version. I am, however, disappointed to see that Black Widow will be packed at only one per case. That’s a really terrible move on Hasbro’s part. When will they learn? Instead, we’re getting THREE MORE Beer-Belly Hulks and THREE MORE Iron Men? Like there aren’t already plenty of those on the shelves? Can’t say I’m at all surprised by this, as Hasbro has consistently botched the case assortments and distribution on Marvel lines in the past, but I am disappointed. Hasbro seems to be under the impression that kids and collectors don’t care about female characters, secondary characters, villain characters, or anyone that isn’t named Cap, Thor, Hulk or Iron Man. And what of the “Loki’s Army Footsoldier” figure that Hasbro released photos of last week? 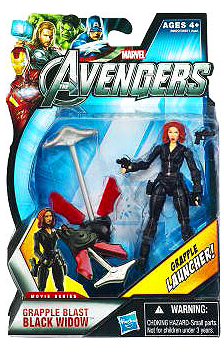 Well, I guess that will be in Wave 4, along with Nick Fury. I just hope Waves 3 and 4 for this line see better distribution than the later waves of the Cap or Thor lines did. Better get your pre-orders in, folks. BBTS has the case, or a set of just the three new figures up for pre-order with an expected May delivery. 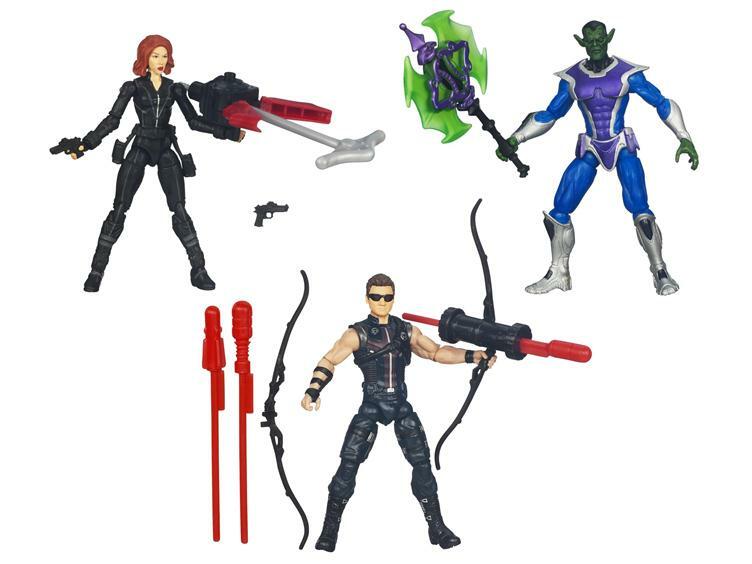 Hawkeye and the Skrull are also listed individually (they’ll at least be two per case), but it looks as though, just as we all predicted, Black Widow will be the “rare” one in this line.